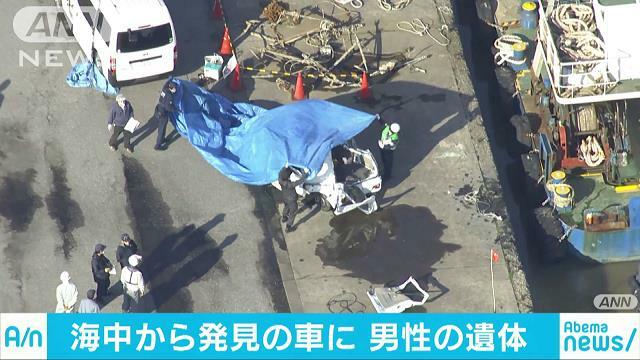 CHIBA (TR) – Chiba Prefectural Police have launched an investigation after a male corpse was found inside a vehicle raised from the bottom of a bay in Futtsu City on Monday, reports TBS News (Apr. 15). At around 3:00 p.m., a member of a dredging crew tipped off police after finding the body inside a van submerged in Kazusa Harbor. Officers arriving at the scene found the body, of unknown approximate age, in the driver’s seat with the seat belt fastened. The roof of the vehicle was heavily dented. At the time of the discovery, the dredging crew was removing sand from the bottom of the harbor. In addition to confirming the identity of the man, police are seeking the cause of death. The case is being treated as the result of an accident or foul play.